"Sarah- I became aware of the death of your husband through..."
Lloyd F. Grenier, 84, of Colorado Springs passed away peacefully in his sleep at home Tuesday, April 2, 2019. He was born October 6, 1934 in Thorne, North Dakota, a son of Adrian and Wanda (McAfee) Grenier. Lloyd married Sarah Brenner May 13, 1961 at St. Mary's Catholic Church in Danbury, Iowa. The two of them were blessed with two daughters, Michelle and Renae. Lloyd was a man of many trades and always believed it was important to know a little about a lot of things. He was drafted right out of High School into the Army, and after serving two years he went on to be a carpenter/contractor and worked many projects all over the county. He spent several years working for CBR (Denny's) as a project superintendent focusing on remodels and new builds. All of this work allowed him to learn many useful trades from mechanics to drafting, enabling him to be self-employed his last few years. He fully retired in 2000 but continued to work alongside and educate others. With the blueprint in his head and a plan to get it done, he was always offering to lend a hand for the projects of his family and friends. 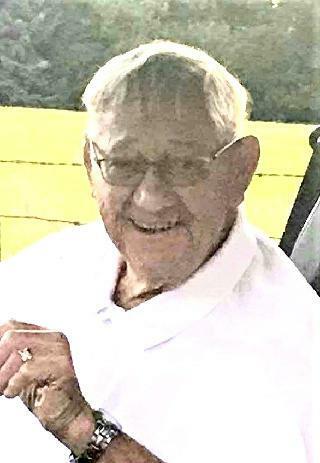 Lloyd's hobbies included: using his tractor/mower to take care of his yard (trying to out-do his neighbor year after year), puttering in his garage, making his famous baked beans to take to family gatherings, and drinking coffee and talking to his friends at Lowe's. He and his wife, Sarah, always enjoyed and looked forward to their getaways to Sandia Resort in Albuquerque, New Mexico. He was preceded in death by his parents; and two sisters, Marlene Arneson and Betty Smith. Lloyd is survived by his loving wife of fifty-seven years, Sarah Grenier; his brother, Dale (Bonnie) Meyer; and his sister, Bernice (Fred) Jones; his two daughters, Michelle and Renae; six grandchildren, Christina (Gregory), Michael (Gina), Jennifer, Curtis, Stephanie (David) and Cassandra; and six great-grandchildren. Services are being planned for May of 2019.